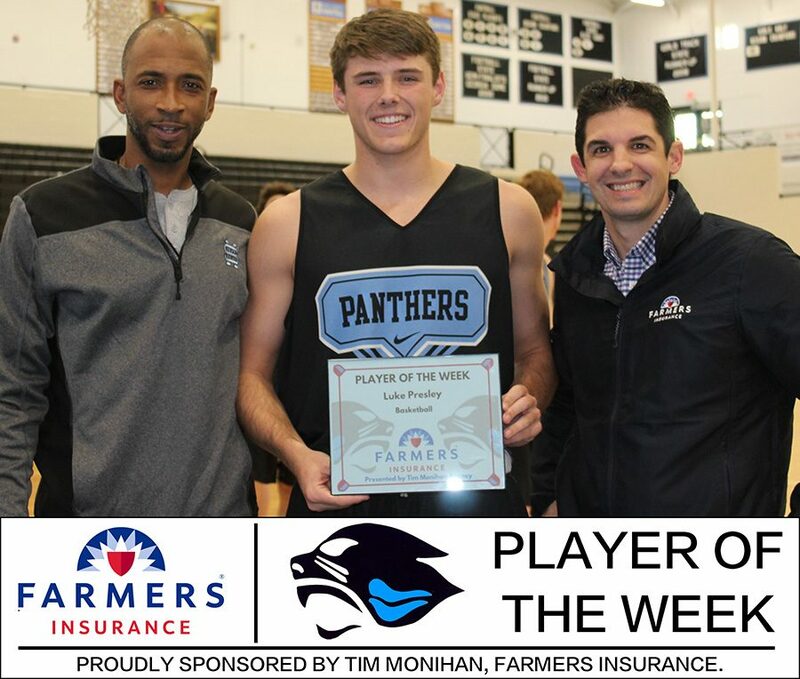 Tim Monihan and Farmers Insurance have named senior forward Luke Presley the eighth Player of the Week recipient for the winter sports season. In his first year on the varsity basketball team, Presley has made a significant impact in games and in practices. Whether he is on the floor or on the bench, Presley has provided some much needed energy to the team. Being the team’s spark plug, he is consistently motivating his teammates on and off the court. Thursday night, Presley and the rest of his Panther teammates played Jonesboro in the Region 3-AAAAA tournament semifinals at Griffin High School. The 42-35 loss to the Cardinals means the Panthers will play away in the first round of the state playoffs. Opponent still to be determined.